Ooooh boy these are some good little cookie like thangs! There is no baking involved and lots of goo on the fingers to lick off when you are done. What could be better than that? Did you think I wasn’t going to tell you what was better than that? Well!…. These lovely little sweets were consumed, enjoyed and complimented by folks from all ranges of the baked goods and sugar consumption spectrum. In other words, as my son would say, both the health whacks like his dear old Mom and the normal people liked these cookies. This is not always the case with the sweets that come out of my kitchen. In fact, both of my sweet offerings were appreciated. 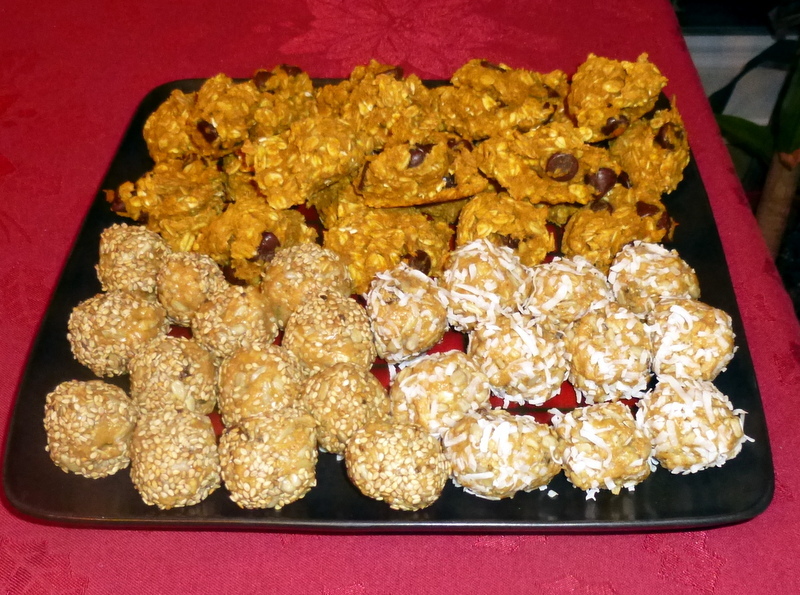 One of them, Healthy Pumpkin Cookies, was shared earlier in the blog and now, because I am so nice and generous and love to toot my own stolen horn, I will share the Nut Butter Bliss Balls recipe with you! I hope these recipes (along with the list of healthier holiday foods from our blog that Little Sis is working on) will help you party with folks from all over the spectrum this holiday season. ‘Tis the time of year for sharing, right? So back to tooting my own stolen horn…. I didn’t steal a horn, I adapted a horn, er… recipe, from the wonderful Diana Herrington at Real Food for Life. She calls them Peanut Butter Bliss Balls. Mr. Bigg Sis doesn’t do peanuts, so I made them both with almond butter and the original way because my son and I LOVE peanut butter. They are heavenly either way. First off – if you don’t have toasted nuts and seeds, I toasted the sunflower seeds at 350 for about 8 minutes – just keep an eye on them so they don’t burn, and the sesame seeds for about 5 minutes, again, watch them as ovens are different, pans are different, it’s a beautiful variable world! Secondly – the reason for the wishy-washiness of the flour amount. Peanut butter and almond butter (beautiful variable world consideration again) have varying consistencies, and honey is hard to measure accurately, so the stickiness of your final product is affected by these variables. I use almond flour which is the dried out leftovers from making almond milk, so it may be a bit lighter than store bought almond flour. Basically you want a dough consistency that is sticky enough to hold together and pick up a coating of sesame seeds but not too sticky to eat. Start with the lowest amount of flour and add more until you like the consistency. Taste tests are totally appropriate and recommended. Pour your toasted sesame seeds onto a plate, form edible size balls (this of course will be affected by the wonderful variety of mouth sizes…. 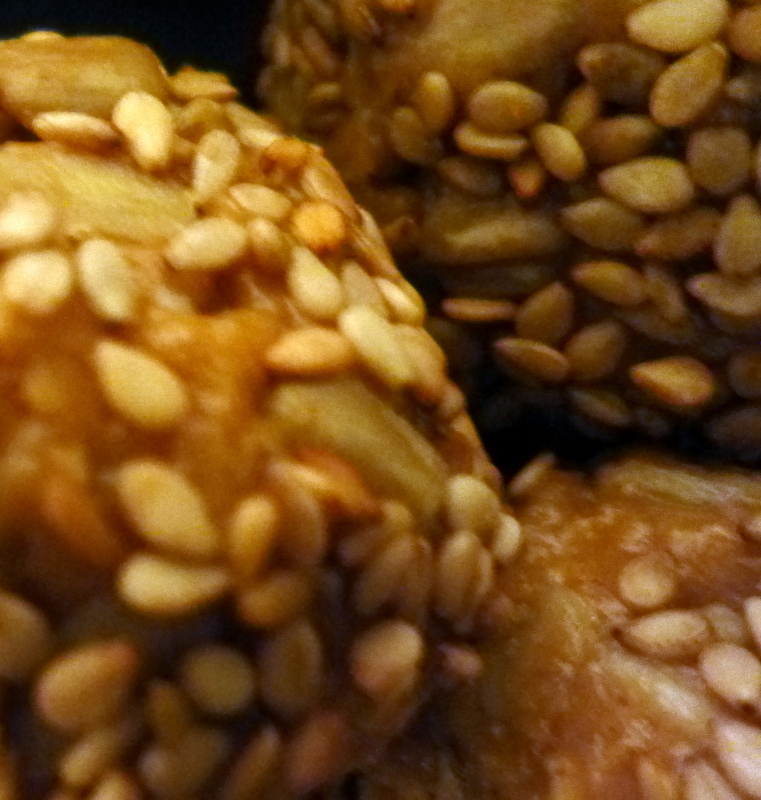 I make mine large) and roll them in the sesame seeds. 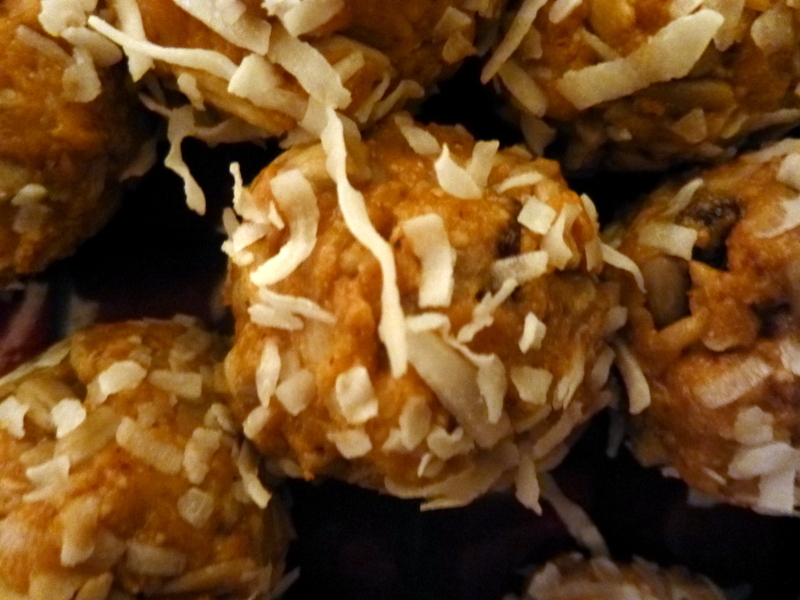 For more variety you can roll them in unsweetened coconut. Peace and love to you and yours in this world of infinite variety and possibility. A cookie is a cookie is a cookie, right? I’ve known that is not true since I was very young. Not to brag, but my mother baked when I was a kid. 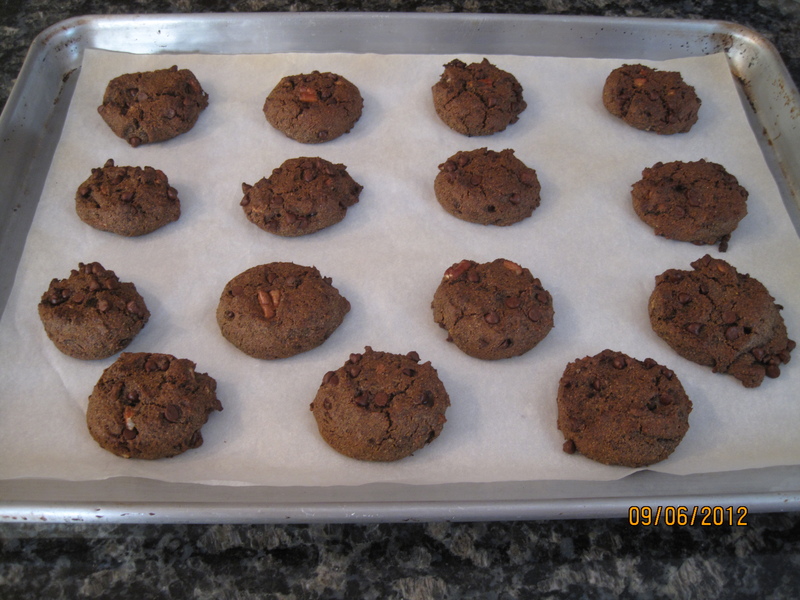 Her cookies were better than any store bought cookie…. but not as good as bakery cookies (sorry Mom). I preferred a good cookie. Who wouldn’t? Once she started working she didn’t bake as much but still being budget conscious, she bought the cheapest cookies available. I thought they were really lame…. until my best friend would come over and be delighted to break into the cellophane wrapped goodies. She didn’t get cookies at all, so she thought even the cheap-o, 3 dozen for $1, lame ones from the store were okay. It’s what you get used to, isn’t it? It has been a whole year. I absolutely cannot believe it. Bigg Sis and I had been talking about doing some writing together and it dawned on us that there was a way to get started, like right away. And so we dove in, and wrote post after post, but I don’t think that we had any idea that, unlike putting a book or a series of articles out there, the space of the blog was going to be one that was going to give so much to us. That we would develop relationships with other bloggers, that our own dietary choices would continue to evolve because of the amazing real food community we’ve stumbled into. I’m a little overwhelmed. I’m not kidding. I have been deeply gratified by the comments we’ve gotten that essentially tell us that we’ve made a difference for someone. It’s like karmic payday. I have been delighted and surprised by the support I’ve received and the way I’ve been stretched as a cook, as a writer, and as a Mom. I feel lucky, and together Bigg Sis and I wanted to be sure that you know how much we appreciate you. Those who show up every time; those who pop in and comment, and all of you lurkers. We appreciate you and hope that we give you some small piece of what you all give to us. 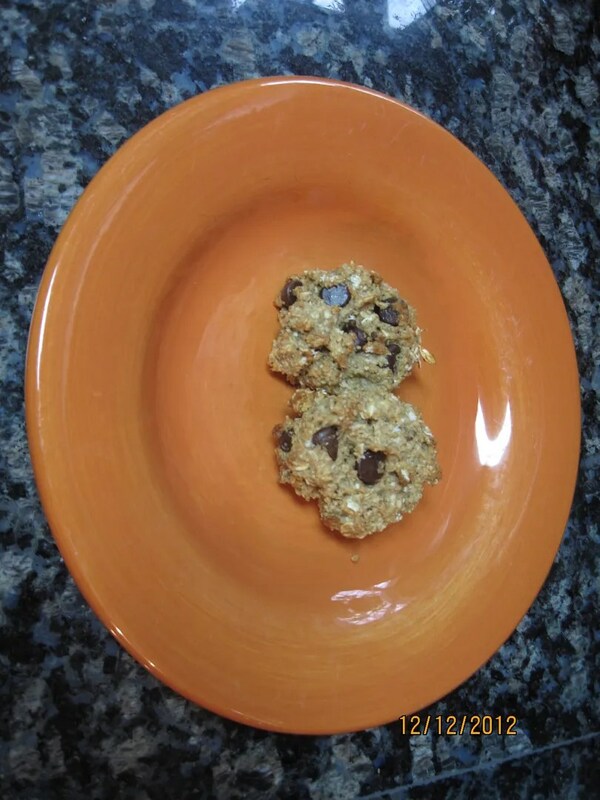 These cookies are sweeter than my usual offerings, so I think they’d make an excellent first step for someone who’s just starting to think about cutting back on sweets and sugar OR an excellent indulgence for those who’ve committed to a low sugar scene. If you’re trying to cut gluten (or eliminate it altogether), these are also a good bet for you. Frankly, they were delicious and while I am going to have to wean myself back off the sweet stuff because of this diversion, I’m going to say it was well worth it. So whether this is an indulgence or the beginning of a change for you – enjoy! Use a food processor or power blender to turn 3 c of the oats into flour. 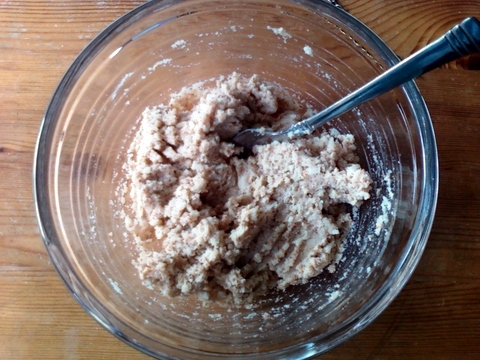 Sift the oat flour together with the baking soda and salt. Combine the sugar, syrup, applesauce, banana, and coconut oil in a bowl and mix until as incorporated as the coconut oil will allow. 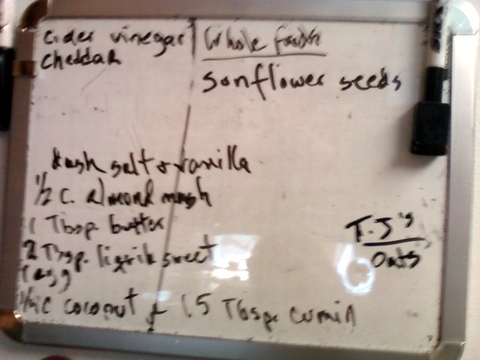 Add eggs and vanilla and mix until incorporated. At a lower speed (or with a slower hand), add the flour mixture a little at a time. Mix in the remaining oats. Add the mix-ins. Cover the dough and refrigerate it for at least 1/2 hour. Preheat oven to 350. Line or lightly oil baking sheets. 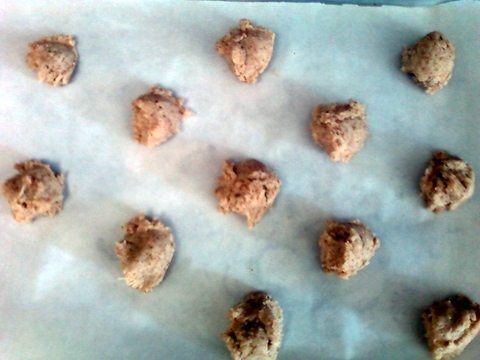 Use a spoon or scoop to drop balls of dough onto the baking sheet. Flatten slightly with fork or finger. Bake for about 8 minutes. Rotate pans (and move top to bottom/bottom to top if your oven is like mine). Bake about 8 more minutes or until bottoms are browning and some browning is on top as well – or to your cookie done-ness preference. Allow to cool for a few minutes on the baking sheet and remove to wire rack for cooling. Eat, quickly, before the others catch on….. I mean share with loved ones. Delish! For other lower sugar treat options, check out our treats category on the sidebar. 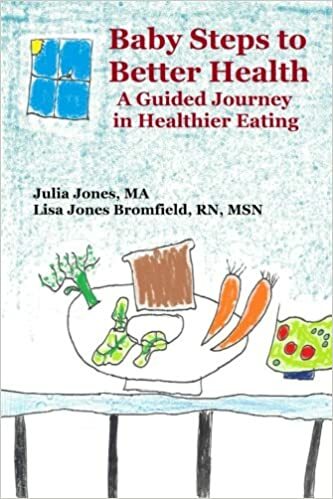 If you’re thinking about making some changes in the New Year, check out our Baby Steps or Sugar Busting series – we’ll be recapping some of these strategies to help all of you who want to try something new in 2013. I struggle with the treat area. There, I said it. My kids have been the fortunate recipients of mostly unprocessed or only lightly processed snack foods, but I have, in my forty some-odd years on the planet, consumed a fair number of packaged snack foods. The difficulty that this poses for me as a parent is that I am vulnerable to the argument that perhaps I am being TOO restrictive, that I am depriving my kids (OH NOOOOOO, ANYTHING BUT DEPRIVING YOUR KIDS!!!!) of some sort of necessary and later to be romanticized pleasure of childhood. So I struggle to find balance. They don’t get A LOT of the things that their classmates and friends get, but I attempt to frame it, as I do with myself, as a turn toward the abundance and delicious satisfaction that real food, even as snack or treat, can provide. 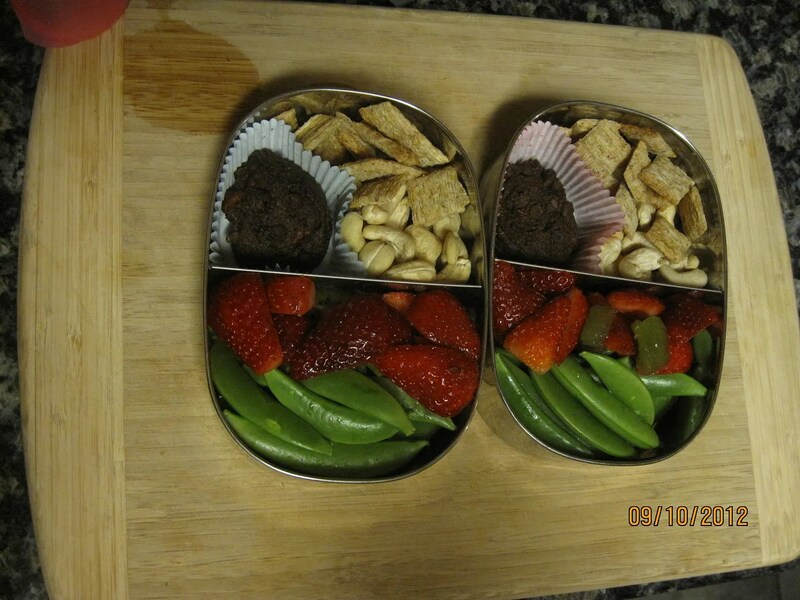 Healthful twin lunches. Healthy twin kids. What do you mean what happened to the first row? What first row? 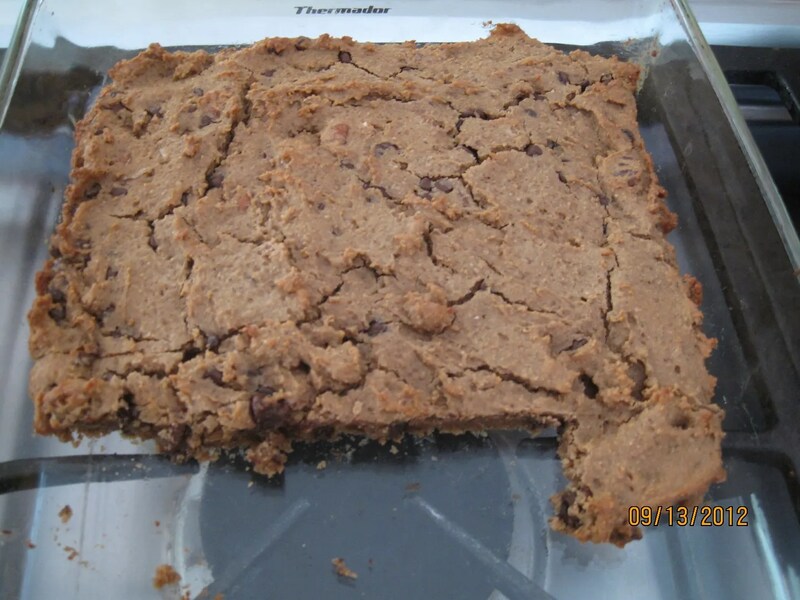 First up: Gluten Free Blondies – adapted from Chocolate Covered Katie’s Chocolate Chip Blondies. These babies are BEAN based; that’s right, you heard me, bean based. So I’m thinking I need to whip up a lunchbox yummy and looking at my fridge to see what I should use up and rolling my eyes at the container of white beans from the previous night’s dinner… turns out they were just what I needed. I love it when that happens. See those little beanies in there? The changes I made to Katie’s recipe here are pretty minimal. 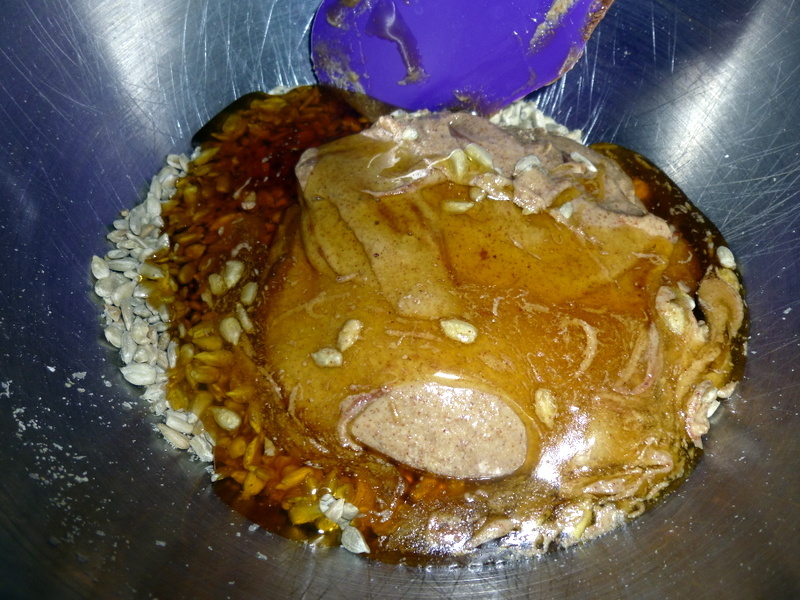 I cut the sugar to 1/2 c from 3/4 c. For the grain I used a mixture of flax and rolled oats. I added 1T of applesauce because my batter seemed too dry (I used homecooked rather than canned beans). I went a little light on the chips to no ill effect and I added 1/4 c of pecans. The procedure is super easy. Preheat oven to 350. 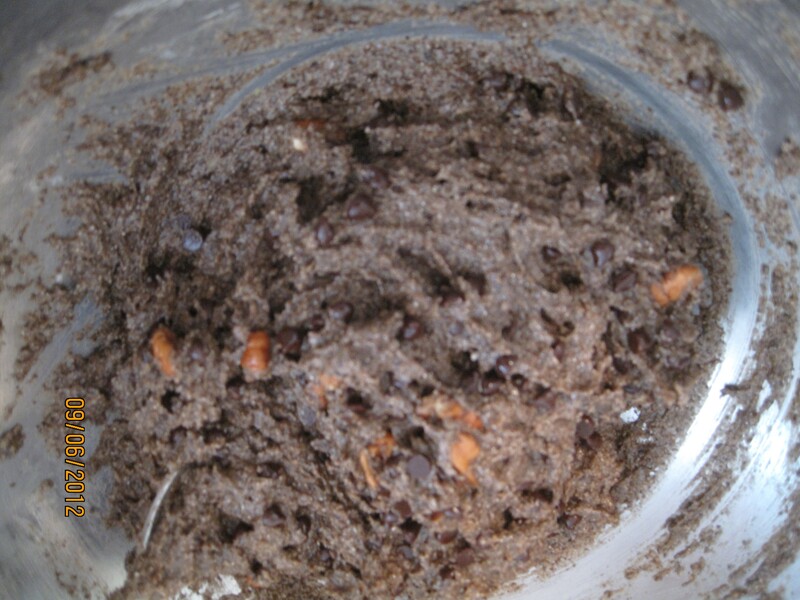 Mix ingredients with the exception of chips and nuts (if you use them, which you should) in a food processor until the batter is smooth. Add chips and nuts and stir to incorporate. Place in 8×8 greased or lined baking pan. Bake for around 30 minutes. They will be softer than your average blondie – sort of fudge-y and awesome. If you’re smart enough to eat one warm, you’ll get the reward of the melty chip drip that is part of the blondie experience. Delish. Turns out beans weren’t the only thing I needed to use up. With the onset of the school year (and cooler temps), our green smoothie intake has diminished and my banana purchases got ahead of me. Super over-ripe bananas can only mean one thing in my house… banana bread. Oh yes. This recipe is adapted from one I got from a dear friend who first made it for us during a delicious fall weekend on a farm in the Catskills. She had adapted the recipe from one she’d had given to her by someone else… Honestly neither one of us has any idea at this point where it originally came from. On the off chance that it was yours and you still recognize it, let me know and I’ll credit you. Preheat oven to 350°. 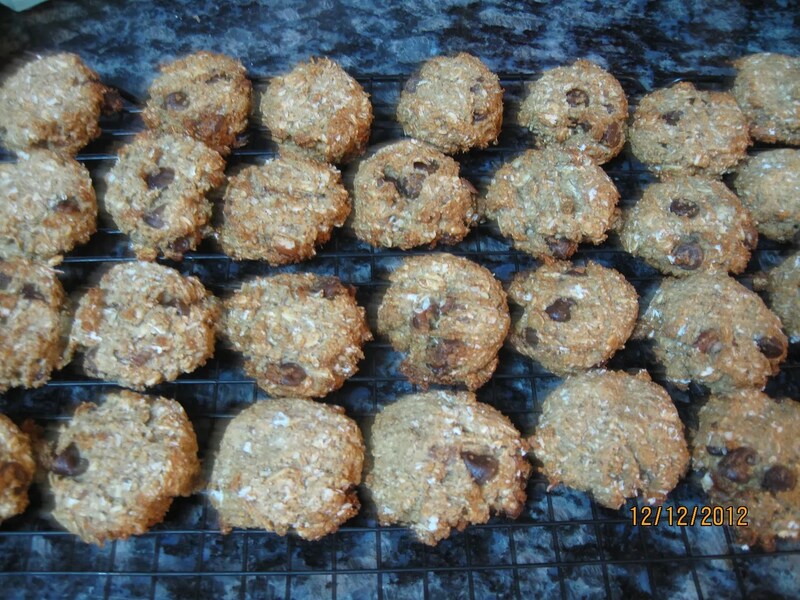 Combine flours, oats, baking soda, cinnamon, and salt. Place sugar, applesauce, oil, and molasses in a large bowl; beat with a mixer at medium speed until well blended (about 1 minute). Add eggs, banana, nut butter, and vanilla; beat until blended. Add flour mixture; beat at low speed just until moist. 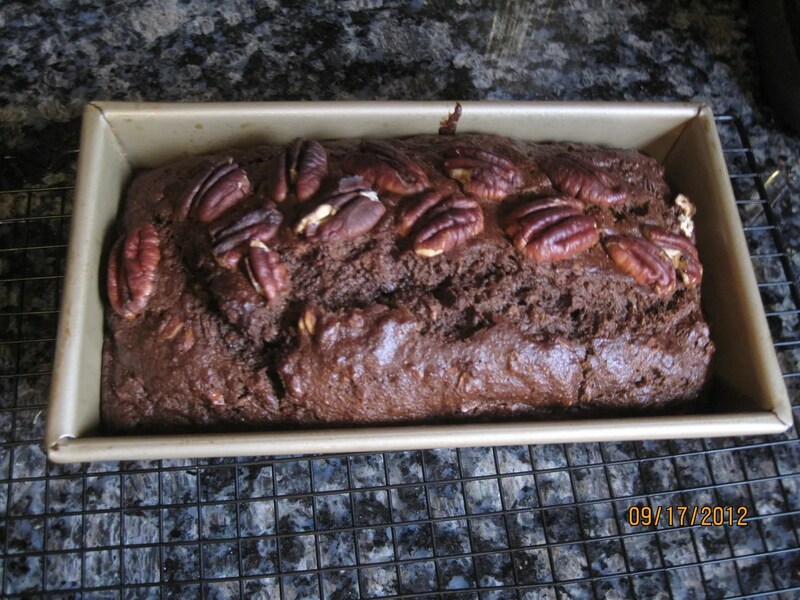 Spoon batter into a greased 8 1/2 x 4 1/2-inch loaf pan. Decorate with pecans. 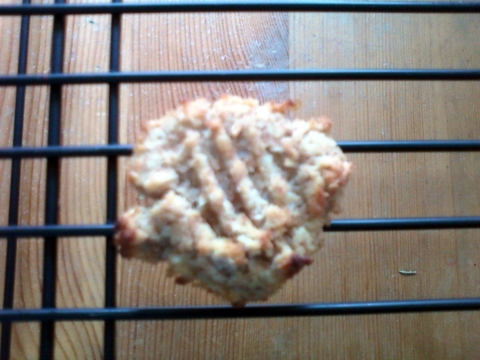 Bake at 350° for 1 hour and 5 minutes or until a wooden pick inserted in center comes out clean. Cool 10 minutes in pan on a wire rack; remove from pan. Eat some while it is warm and the outer crust is at its peak. Cool completely on wire rack before storing. Amazing. Need more ideas for healthier sweets? Try these gluten free chocolate chip cookies, these gluten free coconut almond milk mash cookies, honey milk balls, apple oat muffins. 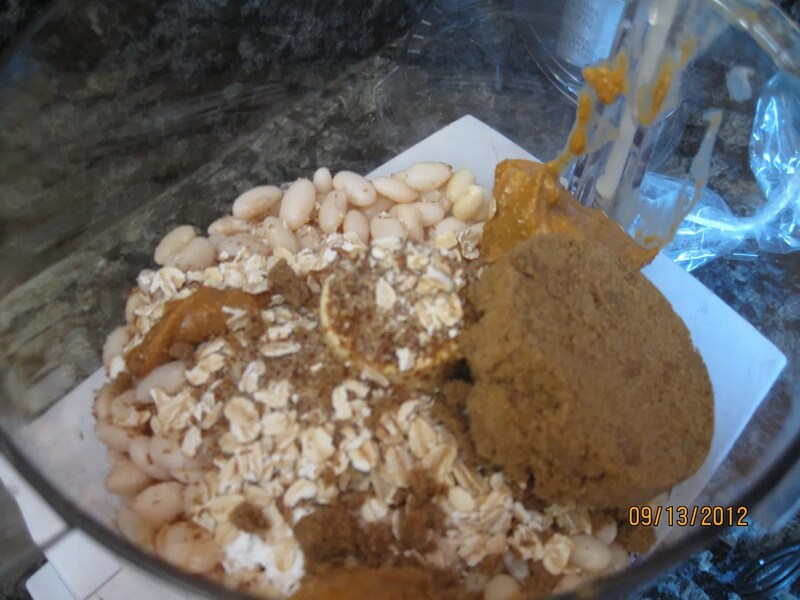 This week we’ve joined Kelly the Kitchen Kop’s Real Food Blog Carnival. Check out the other real food entries here. In the past I have been an overzealous holiday cookie maker who then embarks on the dreary 12-step process of cookie-making recovery. Despite having only made it to step 4 this year, I have been thinking about treats that can go in a lunch box and be eaten by my gluten-free husband. Here is my attempt to make something recognizably treat-y from AMM. Bake for 25 – 30 minutes or until getting a little crispy. If you take them out too early (I tried taking them out at different times) they stay kind of mushy. As I contemplate my only child entering Middle School with the concomitant increased freedom and exposure regarding worldly foods and foibles, I am going to attempt to provide snacks in the lunch that will entice him to walk the straight and narrow – or narrow-ish. It ain’t going to be easy my friends! But my rapidly rising (in height, ability and attitude) 6th grader thought these cookies were awesome, so we’re off to a good start.